Medium deep purple color. Aromas of sundried strawberry, new shoes, cherry doughnut, and roasted nuts with a satiny, bright, dry-yet-fruity medium body and a smooth, medium-length grilled prunes, blueberry confit with yogurt, strawberry leaf, and graphite finish with silky, medium tannins and a suggestion of oak flavor. 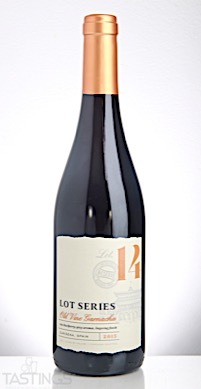 A food-friendly and elegantly fruity grenache with great minerality. Bottom Line: A food-friendly and elegantly fruity grenache with great minerality. 86 • Earth’s Harvest 2015 Lot Series 12, Cabernet Sauvignon, Columbia Valley 13.7% (USA) $9.99. 92 • Earth’s Harvest 2014 Lot Series 5 Reserve, Malbec, Columbia Valley 14.2% (USA) $11.99. 91 • Earth’s Harvest 2013 Lot Series 3 Grande Brut, American 12% (USA) $13.99. 84 • Earth’s Harvest 2014 Lot Series 9 Reserve, Merlot, Horse Heaven Hills 13.9% (USA) $13.99. 89 • Earth’s Harvest 2015 Lot Series 14 Old Vine, Garnacha, Cariñena 13.5% (Spain) $8.99. Grenache is the world's most widely planted red variety, yet its fame is primarily as a blending variety. The most famous examples are in the Rhone Valley as part of Châteauneuf-du-Pape and Gigondas, in Spain (where it is known as Garnacha) in Priorat reds, and in Australia, where it is often blended with Shiraz. 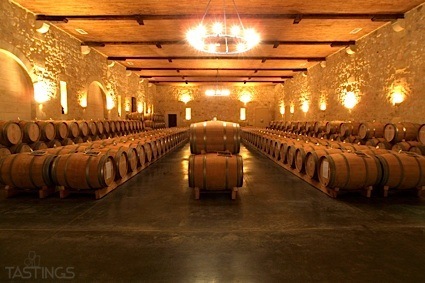 Grenache on its own is a light red wine; indeed there are numerous versions of Grenache rosé from France and Spain' respectively, these wines are Tavel and Navarra Rosé. Tannins are very light and aromas are of wild strawberry, rhubarb and geranium. There are also small amounts of Grenache grown in Italy (in Sardinia, as Cannonau) and the United States. Earth’s Harvest 2015 Lot Series 14 Old Vine, Garnacha, Cariñena rating was calculated by tastings.com to be 89 points out of 100 on 10/6/2017. Please note that MSRP may have changed since the date of our review.